How we do, What we Do? THE HARVARD’S, MIT’S & STANFORD’S DON’T JUST LOOK FOR GOOD STUDENTS! THEY LOOK FOR LEADERS, PROBLEM SOLVERS, DREAMERS, PASSIONATE SOCIAL ENTREPRENEURS, BUSINESS STALWARTS WHO CAN CHANGE THE WORLD. THIS PROGRAM IS GLOBAL, INTELLECTUAL, LEADERSHIP BASED AND VERY HANDS ON. YOU HAVE TO BE A GREAT STUDENT AND PASSIONATE ABOUT SOLVING PROBLEMS. WHY THIS IVY LEAGUE/ TOP SCHOOL PROGRAM? THE WORLD IS RAPIDLY CHANGING! MUCH MORE RAPIDLY THAN YOU THINK. SO IS THE WAY, TOP SCHOOLS PROVIDE AN ENTRY TO STUDENTS. THE OLD RULES, DON’T APPLY. IT IS NOT ENOUGH TO SHOW GOOD GRADES. THEY WANT THE NEXT MARK ZUCKERBERG; THE NEXT BILL GATES ; THE NEXT MALALA ; THE NEXT NOBEL LAUREATE ; THE NEXT NELSON MANDELA. HOW CAN YOU SHOW YOU ARE THE LEADER OF TOMORROW? HOW CAN YOU PROVE THAT YOU ARE A GENUINE LEADER? HOW CAN YOU CREATE IMPACT? HOW CAN YOU SHOW THE IMPACT ON SOMETHING THAT YOU DEEPLY CARE ABOUT? HOW CAN YOU EXPERIENCE YOUR IMPACT ON THE WORLD, PEOPLE & THE CAUSE YOU CARE PASSIONATELY? THE RULES HAVE CHANGED. THE IVY LEAGUES DON’T WANT “ALL ROUNDERS”. THAT’S MEDIOCRITY TO THEM; CAUSE YOU CAN’T BE GOOD AT EVERYTHING. THEY WANT THOSE FEW WHO ARE PASSIONATE, EXCEPTIONALLY GOOD AT SOMETHING & HAVE CREATED AN IMPACT BY SOLVING THE PROBLEMS OF TODAY. THE QUESTION YOU NEED TO ASK IS “WHAT AM I EXCEPTIONALLY GOOD AT? HOW CAN I SOLVE A PROBLEM AND EXPERIENCE THE IMPACT? HOW CAN I PROVE TO THE WORLD ( AND THE IVY LEAGUE ) THAT I AM THE LEADER THE WORLD NEEDS, TOMORROW”? YOU WILL DO 3 THINGS. FIRST, UNDERSTAND YOURSELF – WHAT ARE YOU PASSIONATE ABOUT, SET YOUR GOALS FOR THE NEXT 5 TO 10 YEARS AND CREATE A PLAN. SECOND,WORK ON THE PLAN; DO A LITTLE BIT EVERYDAY; LEARN FROM THE INDUSTRY & WORK WITH GLOBAL TEAMS. THIRD, EXPERIENCE THE IMPACT, SHOW TANGIBLE RESULTS! YOUR FOCUS ON THE CAUSE & RESULTS WILL BE YOUR COLLEGE APPLICATION. IT IS HANDS ON, LEADERSHIP BASED AND REAL WORLD BASED! SO, HOW DO WE DEVELOP YOU INTO A LEADER? IMAGINE, THE TRANSFORMATION & LEADERSHIP? SO, LETS GET STARTED, SHALL WE? PEDIATRIC CANCER IS AN EPIDEMIC GLOBALLY AND IN INDIA. WE ARE BUILDING A COMPLETE ECOSYSTEM TO SOLVE THE PROBLEM. THIS IS THE WORLDS FIRST PROJECT WHERE STUDENTS IN INDIA AND GLOBALLY WORK TOWARDS CREATING SOLUTIONS. ARE YOU READY? THE TWO PROFESSIONALS ON THE LEFT OF CHIEF MINISTER MR SHIVRAJ SINGH CHOUHAN, ARE BLIND. UPASANA VIJAYKUMAR, A DOUBLE MASTERS IS ALSO A CANCER SURVIVOR. HER HUSBAND, BESIDE HER, VIJAY IS A CHARTERED ACCOUNTANT. THE CHIEF MINISTER IS WORKING TOWARDS PROVIDING US THE LAND. SO, LETS NOT WASTE TIME. LETS GO! YOU READY? HERE IS WHAT YOU DO NEXT! FIRST, IF YOU WANT TO CONTACT US, USE THE CONTACT FORM. 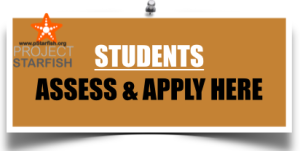 SECOND, IF YOU WANT TO APPLY FOR AN ASSESSMENT TO CHECK IF YOU ARE A FIT TO GET ON THIS IVY LEAGUE OR TOP SCHOOL INTERNSHIP, CLICK ON THE ASSESSMENT. OR, THIRD, IF YOU HAVE A GO AHEAD TO APPLY FOR THE IVY LEAGUE INTERNSHIP FROM US (WRITTEN), CLICK ON THE IVY LEAGE ASSESSMENT. GOOD LUCK! YOU ARE THE LEADER OF TOMORROW. EXPERIENCE IT. IN YOUR HANDS LIES THE FUTURE.